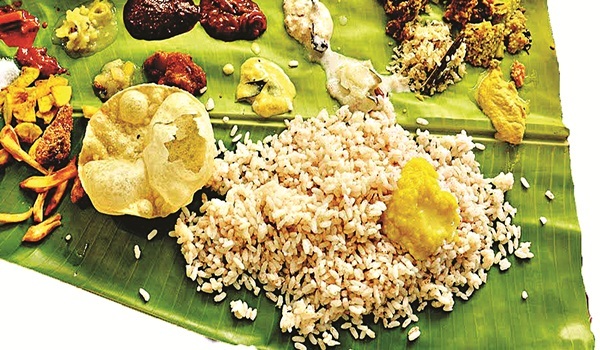 WHILE the festival marks the home-coming of the mythical king, Mahabali, food ethusiasts always look forward to Onam for the culinary extravaganza that it is. From Vembanad at The Paul to Bonsouth, restaurants in the city have pulled out all the stops this time around. Read on to know more. Vembanad is known for its coastal delicacies. For the festival, they have a special sadhya with all the quintessential dishes. If thata��s not enough, the restaurant is also hosting a cultural extravaganza with traditional ceremonies. delicacies like avial and erissery. On September 15, the restaurant has a buffet-style feast so you can pick and choose your favourites. Bonsouth plays host to the Mahabelly Onam feast. Chef Manu Nair with his team has created more than 55 festive specialties. Guests can enjoy traditional creations like Kalan, Pumpkin Erissery and more. Pair it with their Appams, Podi Dosa and Malabari Parathas. For dessert, the restaurant offers a lavish spread which includes festive treats like Parippu Payasam, Paal Ada Pradaman and the mouth watering Pazham Purungidu a�� steamed Kerala bananas glazed with honey. The coffee shop at the Crowne Plaza is celebrating the festival in the best way possible. The restaurant will be adorned with flowers and muthukuda or festive umbrellas. Guests will be accorded a traditional welcome with a Chenda performance, a percussion instrument employed in almost all art forms of Kerala. The menu is a Malabar style feast with Parippu, Erissery, Avial, Olan and Payasam. The restaurant will offer a discount of 10 per cent to guests who turn up in festive attire! This Indian specialty restaurant is going traditional for Onam. The chefs have curated a a veritable feast. The spread starts with Pineapple Pachadi, Beetroot Pachadi, and Puli Inji a�� a traditional ginger chutney. The Onam Fest 2016 is a six-day extravaganza which has an elaborate spread and a host of activities organised by Kappa Chakka Kandhari. The fest will have authentic delicacies and traditional Kerala recipes which they are cooking on a wood fire to retain their authentic taste. The menu includes a 28-course meal with four varieties of payasam. They even have a takeaway counter.